Sturdy pre-tested vinyl. Sturdy coil beam construction. Great for indoor and outdoor use. Heavy-duty repair patch & carrying bag included. After use, product may require additional air to increase firmness. 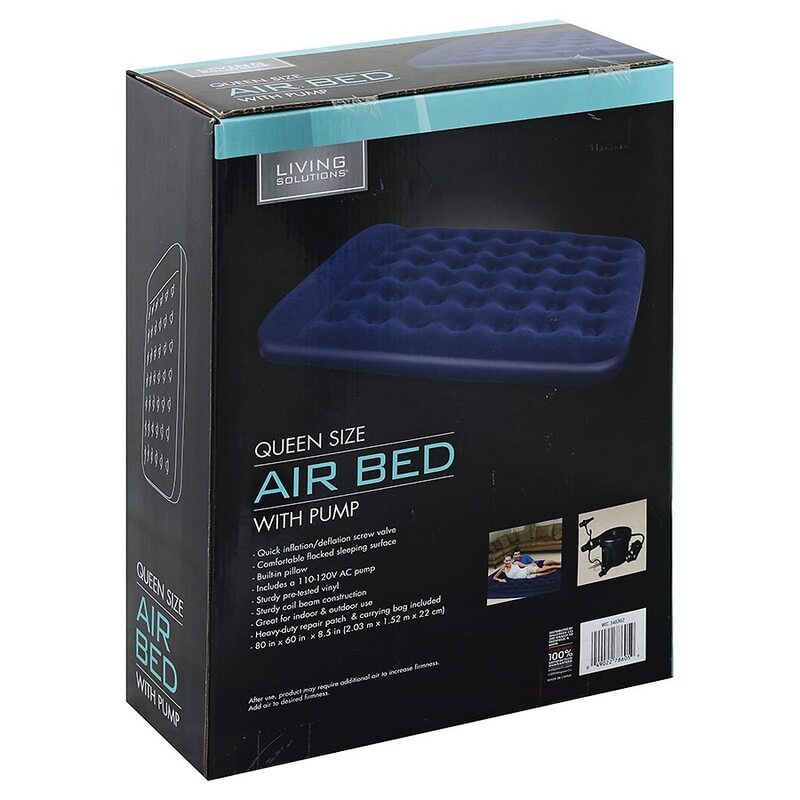 Add air to desired firmness. Risk of suffocation. Never place an infant (up to 2 years) to sleep on inflatable bed. Place adequate space between bed and objects to avoid entrapment. Always keep bed fully inflated when in use. Keep away from flame and fires. Keep away from fire. Use only under adult supervision.